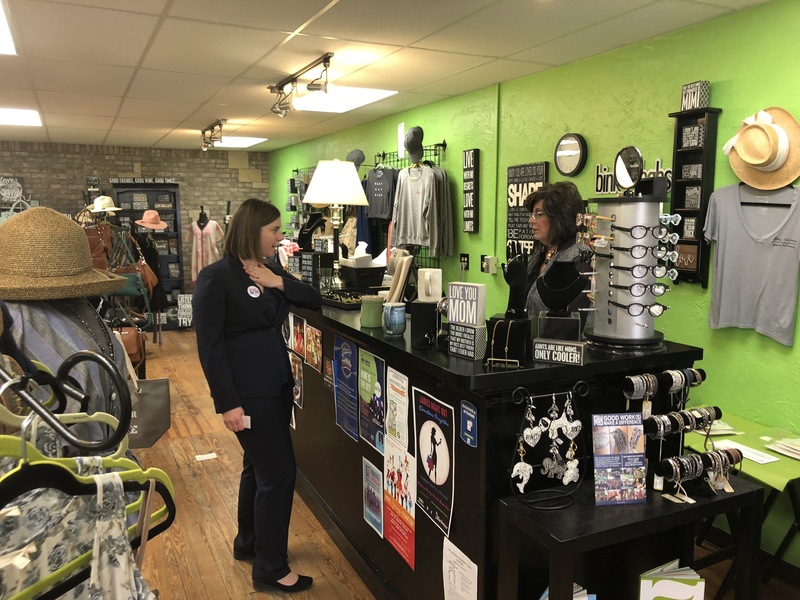 A candidate for Congress in Michigan’s 8th District spoke with community members and local business owners while canvassing downtown Brighton, discussing the need for action in their areas of concern. 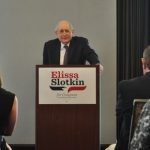 Democrat Elissa Slotkin began a series of events Monday with a Common Ground Breakfast with Republican and Independent Women in Rochester, next holding an Infrastructure Policy Roundtable in East Lansing. Slotkin then traveled to Downtown Brighton for a Small Business Canvass in search of what issues district voters want addressed. Slotkin was interested in how business has been for each establishment; later saying there needs to be more conversation about job creation and the future of work in Michigan. She also asked community members what issues they believe need to be addressed, noting much of the feedback she’s received has been related to deteriorating roads and infrastructure. Slotkin was joined by Illinois’ 17th District Congresswoman Cheri Bustos, who is a member of the House Transportation Committee. Slotkin says she invited Bustos to show her just how bad some of Michigan’s roads are, discuss what can be done and is hoping Bustos will take the conversation back to the Committee. Slotkin says this is an issue she hears about constantly, but she feels the 8th District’s current representative, Republican Congressman Mike Bishop, isn’t doing anything about it. Earlier Monday, Bishop’s office issued a press release in which Bustos is referred to as Minority House Leader Nancy Pelosi’s “top lieutenant” that was sent in to help Slotkin with out-of-state money. In response, Slotkin says she thinks Bishop has woken up to the fact that there’s real competition in the 8th District as the public looks for a new generation of leadership. Slotkin says public service must be prioritized over partisanship in government, adding there must be a bridge in the political divide to get things done. Slotkin shared with WHMI the belief that her background in national service will help her renew the spirit of serving the public in domestic politics. Slotkin served under both Republican and Democratic administrations at the White House, the Office of the Director for National Intelligence and in the Pentagon. 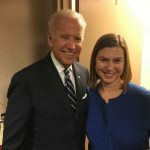 The third-generation Michigander believes citizens “on both sides of the aisle” are looking for a different generation of leadership with the understanding that their congressional representatives are public servants.